Need a solution to verrucas? In the first instance, avoid touching or scratching it as it may spread into a cluster of warts. Instead, cover it up with a plaster and this may cure it. In many cases, evidence suggests that verrucae will disappear of their own accord within six months for children but longer for adults (up to two years). This is because the body’s immune system recognises the presence of the virus and fights the infection naturally but it can take many months for this to happen. Therefore if it is painless, no treatment is required as some treatments can be painful, they an be difficult to administer to children as well as cause side-effects. The state-of-the-art revolutionary microwave therapy to treat verrucas is Swift. Swift is a cutting-edge modern piece of technology. It doesn’t use any needles, injections or creams and is fast and easy to use. We have over 20 years of know-how in treating verrucas in Birmingham. Swift is pioneering technology that was established in the UK. It has been permitted for use in Dermatology and Podiatry for the treatment of skin lesions. It is a device that is handheld and uses microwave energy to abolish verrucas. 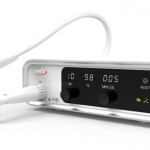 During the course of the Swift treatment a patient may feel minor discomfort but normally patients experience a small prickly sensation for around a couple of seconds that quickly reduces. The podiatrist might have to reduce the lesion with a blade before going ahead with the treatment. After the treatment, patients may feel some sensitivity but this shouldn’t affect continuing with normal daily activities. The number of treatments you will need will be determined by how many verrucas you have, the location of the verrucas, how long you have had them and how you respond to the treatment. A podiatrist will discuss what will happen during the treatment and how many treatments you could need. Some patients need a second treatment or more which can take place after 2 weeks or a month apart. Every patient is unique and it depends on how you respond to the treatment. We have a internationally acclaimed podiatry clinic based in Birmingham, United Kingdom. Many patients from the UAE come for specific advanced treatment option for Verrucas.